6 points can be awarded to your webstore account (see FAQ). This is a kit of phono cartridge mounting hardware. 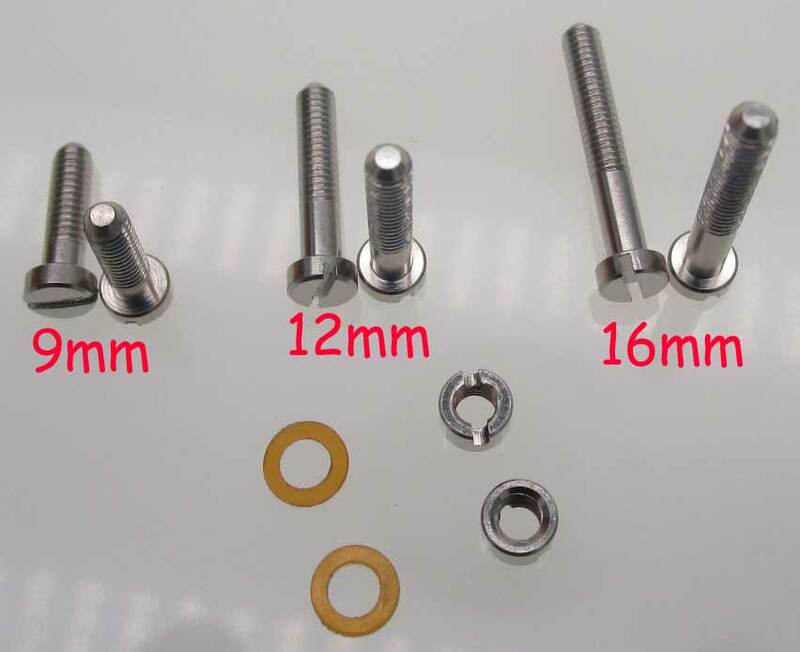 3 screw sizes, 2 washers, & two nuts for attaching ½" (standard) mount cartridges to most existing turntable headshells. Most cartridges already come with screws. Out of the 1000s of cartridge models ever made, there were a few models by Shure, Empire and others that require special screws that are longer; see long screw kit below. Make sure to check your cartridge + headshell requirements 1st if you suspect you may need our long screw kit. Entire kit including 6 screws. Made of a very slightly magnetic alloy material. The 2 length cover all my possible cartridge setup in my system. Quality screws but unlike every other screw kit I have bought does not come with washers. I would buy the washers separately if that was an option. Other than that it is a quality product and the usual good customer service I have always gotten from Turntable Needles. Exactly what I needed. Super fast shipping and a fair price!! I dropped a washer while changing cartridges and couldn't find the little bugger. While it would have been nice to just buy a set of washers, this kit was just what the doctor ordered and now I have some spare parts.